Mix the first 10 ingredients in a bowl and whisk to combine, add the shrimp. Pour all the contents in a large zip-loc bag and refrigerate at least 20 minutes or up to overnight. Preheat the grill to medium high heat. Oil the grill rack. Thread the shrimp onto skewers and grill for 1-1/2 minutes per side. Make the sauce: Whisk chili sauce, preserves, and mustard into a medium bowl. Serve 2 Tablespoons per guest. 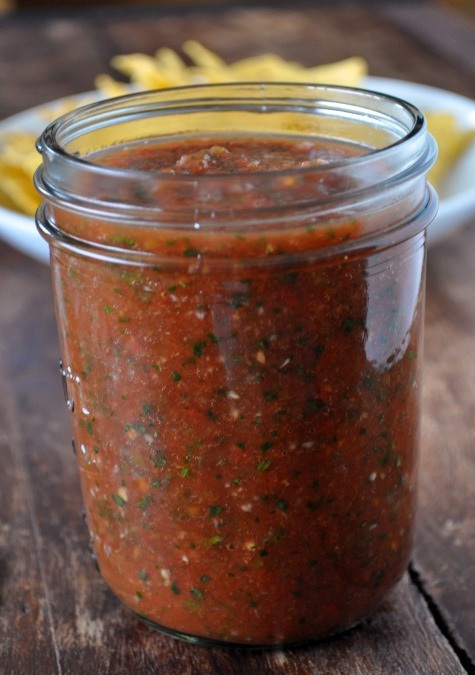 Put canned diced tomatoes, Rotel tomatoes, onion, garlic clove, jalapeno (optional), Splenda, table salt, cumin, medium handful of washed cilantro, the juice and zest of 1 lime into a blender/food processor and pulse for 30 seconds until ingredients are to your desired consistency. 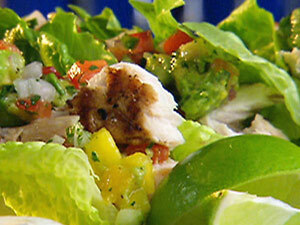 Pour this over some grilled chicken strips and enjoy!